We’ve partnered with GRENKA to bring you Office Things Interiors Financial Solutions. GRENKA’s expertise in financing combined with our knowledge of work can give you an office that inspires your people to do their best work.People drive business forward. They need the right tools to succeed. Your workplace can be one of them.Our financial solutions free you to achieve an office that’s right for your business now, without upfront expense. Unlike bank financing, which often requires a 20 percent down payment and excludes soft costs (such as installation and shipping), we can finance the whole project. Your monthly payments do not affect your established line of credit, cash reserves, or require a compensating deposit balance. You have more capital for your business. As costs go up over the term of your contract, you pay the same rate as when you began. That stretches your euros and gives you more access to the cash in your business. Tailoring payment terms and structures to match unique needs, such as seasonality, expansion plans, or revenue cycles, lets you get more out of your space and your budget. Balance sheet considerations, such as operational versus capital expenditures, are important decisions when investing in your business. 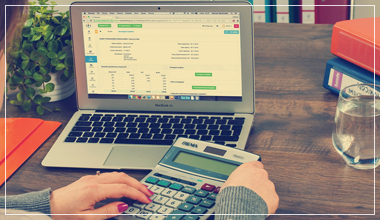 We help you design a financing solution that best fits your accounting and tax requirements. You know the best strategy for moving your business forward. You now have choices for a financial solution that helps carry your business into the future. Terms can range from 12 to 72 months with flexible End-of-Term options. Extend the term to six years to lower your monthly payment. Schedule your payment to match your cash flow. Make a lower payment initially and structure future payments to grow as your company’s revenue increases or business cycles require. You can own the equipment with a €1.00 Purchase Option. Or with a True Lease, you have the option to own or return the furniture at the end of the term, with an affordable payment during the term. Also, you can extend your lease month-to-month for a specified period of time. With any of our options, you can add new furniture at any time with a simple increase to your monthly payment. Your office can grow as your business does. Practically every company is in the same business: the idea business. By streamlining how you get your financing, we free you to think up the new ideas that will drive success.